American Folk Dance . . . fun for all ages! Anita and Patrick Mason hosted the Broward Contra Dance, South Florida's longest-running American folk dance, every second Saturday in Davie for the past 5 years. From April- May every fourth Sunday they run Olde Time Dances at The Historic Barnacle State Park in Coconut Grove. 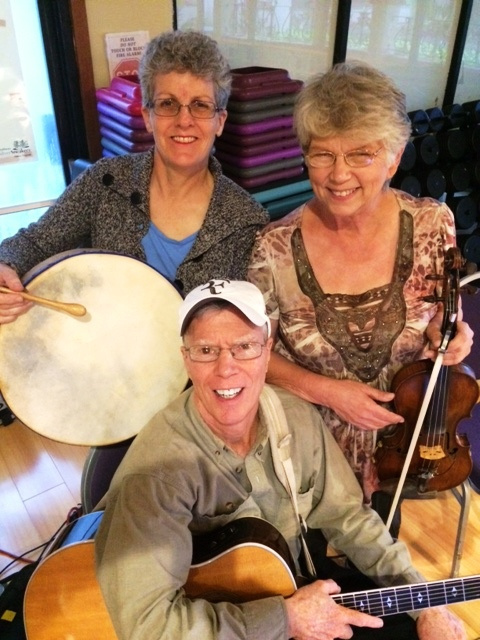 Anita and Cornbread have played Hoedowns at Horse stables,children-parent dance programs, Barn dances and traditional American Contra styles, all to lively acoustic music. Ideal for : Mixers, Hoedowns, Festivals, Communities, Corporate & Private Events, School Programs, Parties and Celebrations. Anita Mason - Contra Dance caller - Instruction for dancers age 5 to 95 ; walking becomes dancing with a room full of friends! Plays bodhran (Irish hand drum) and assorted percussion. From Baltimore Md. Patrick Mason - 6 and 12-guitar & percussion - Contra,gypsy jazz,pop plus originals. From upstate New York.